Michael Frizell is the Director of Student Learning Services at Missouri State University and the immediate past president of the National College Learning Center Association, where he also serves as the editor of The Learning Assistance Review. Along with Laura Sanders and David Reedy, he served as the editor of NCLCA’s first book, Learning Centers in the 21st Century: A Modern Guide for Learning Assistance Professionals in Higher Education. 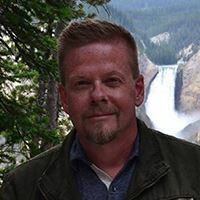 He holds a BA in theatre from the College of the Ozarks, an MA in both theatre and creative writing from Missouri State University, and an MFA in creative nonfiction from the University of Arkansas at Monticello. You can find his work on the National Gallery of Writing, in Red Ink Journal, The Moon City Review, and others, and his poetry featured as part of The Good Men Project. With TidalWave Comics, he writes comics based on the lives of the famous and infamous. Recent publications include profiles of Prince, Chris Pratt, Miley Cyrus, Hillary Clinton, Rand Paul, Guns N’ Roses, Donald Trump, and Elizabeth Warren. Upcoming fiction comics include The World of Polka Spot, a children’s story about a world-famous llama and film diva, The Fantasy World of Bettie Page, a Cold War-era sci-fi action graphic novel featuring the authorized likeness of Bettie Page, and James Dean: Timeless, a sci-fi western. He is currently writing the forwards to the re-releases of Harold Robbins’ novels for Oghma Creative Media, the publisher of his upcoming crime novel, Crowe’s Crossing. His graphic novel, Bender, about America’s first serial killer family of the same name from the Midwest, was serialized in Saddlebag Dispatches, where he now serves as editor-in-chief. He lives in Springfield, Missouri with his wife, Julia, a teacher at Springfield Catholic High School. 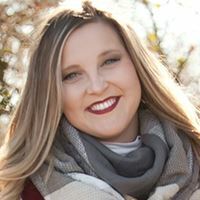 Ashley Hurst is the Director of Tutoring and Academic Support Programs at MSU Texas where they dedicate their office to helping students achieve academic success. In her free time, you can find her behind a camera, on a theatre stage, or traveling with her husband, Jon, and daughter, Riley. 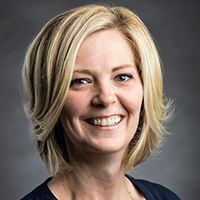 Kolene Mills is the director of Academic Tutoring at Utah Valley University. 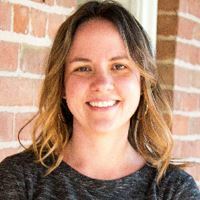 She loves being involved in the field of learning assistance, and is interested in everything from software solutions to capture data, to training tutors on discourse theory. She enjoys her involvement in NCLCA, and is certified LCLC level 2. Susan is currently the Director of the Academic Achievement Hub at University of California, San Diego’s Teaching + Learning Commons. For the past two and a half years, as Director, she has been developing, supporting, and assessing inaugural programs for UC San Diego. These programs include, Supplemental Instruction, Peer Led Study Groups, Embedded Peer Facilitators, Content Tutoring, and Metacognition Tutoring as well as summer pre-matriculation and continuing student bridge programs. Susan serves as the Learning Specialist for the School of Medicine at UC San Diego. With campus partners, Susan collaborates in existing structures and new initiatives to promote academic success and. 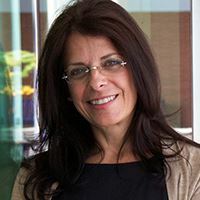 Prior to this time, Susan served two years as the Associate Director of the University of Arizona THINK TANK (a comprehensive learning center) and five years as Coordinator of the Peer-led Study Group program and then developer and Coordinator of the Peer-led Tutoring program at the University of Michigan Science Learning Center. Cassandra Hirdes is Director of Collaborations and Programming and Co-Director of THINK TANK. She began her career at THINK TANK in 2010 after obtaining her B.A. in Psychology from Northern Arizona University and her Master’s degree in School Counseling from the University of Arizona. Her first role at THINK TANK involved meeting with students individually as a Learning Specialist. In this position, Cassandra worked with students on academic probation to help them make educational plans to elevate their standing at the university. That first role gave her insight into many college students’ journeys and provided the foundation by which she continues to make decisions and provide leadership. Cassandra has been the coordinator of various THINK TANK programs, including the Academic Skills Tutoring program, the fee-based Academic Coaching program, and the Academic Recovery program. She also served as the Learning and Study Strategies Chair for the College Reading and Learning Association for six years. Most recently, Cassandra served as Director of the Schedule for Success program, which provides holistic support to students who take the first level of mathematics offered at the University of Arizona. Cassandra believes students should be involved in every component of programming and she values creating strong cross-campus partnerships.